This is a sport that involves descending canyons. Swimming, hiking, rappelling down cliffs are part of the deal. 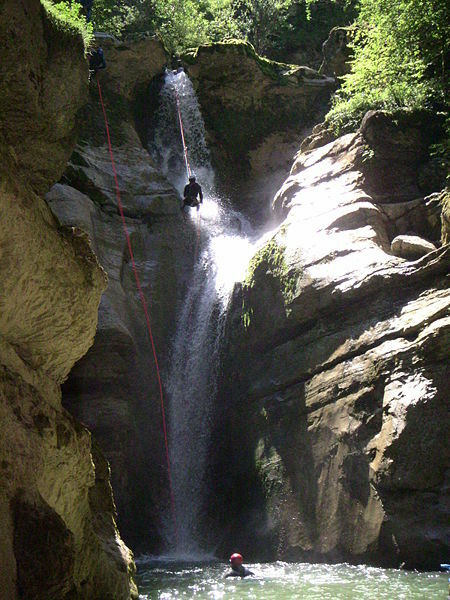 Canyoneering is an opportunity to engage in a sports activity and experience something fabulous while respecting nature, especially if the basic rules are observed (e.g. not swimming in shallow waters, choosing rock canyons over gravel ones, etc.). Moreover, the memory of the wonderful scenery and experience is yours to keep.